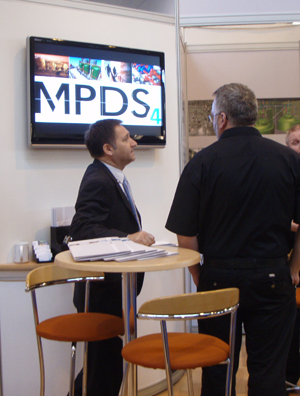 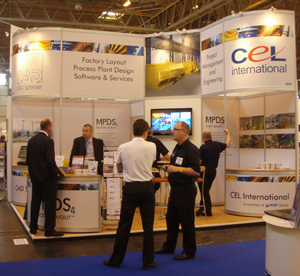 Cambridge, UK – June 2010: Engineering and capital project managers from food, pharma and FMCG flocked to the NEC to source processing and packaging solutions. 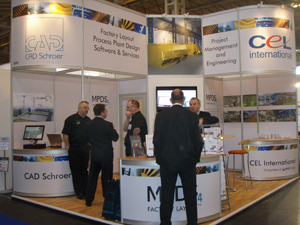 They also found a team of dedicated software and project engineers ready to help with factory layout challenges. 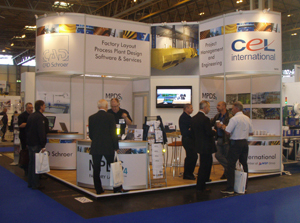 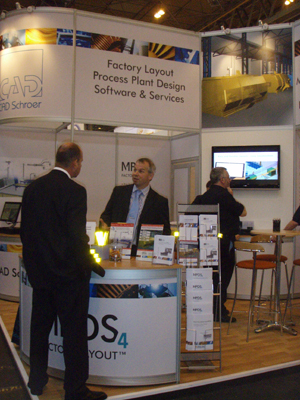 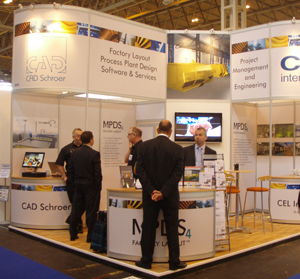 Engineering solutions provider CAD Schroer and project management expert CEL International (a member of the global engineering and environmental consultancy WSP Group) were on hand at Total Processing & Packaging 2010 to help solve the challenges posed as processing companies or their service providers plan to move or expand factories, trying to combine existing with new machinery in busy spaces. 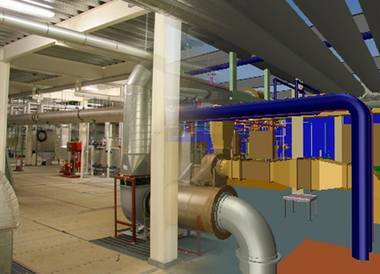 The team’s offering ranged from integrated 2D to 3D factory layout software for in-house design departments to design and delivery of a factory model or even comprehensive project management and construction services.